This post is sponsored by Mirum but all opinions are my own. Please see below for additional disclosure. When it comes to our Christmas lists, my husband and I really enjoy enjoy shopping together. We find the perfect gifts for our parents, siblings, kids, friends and more. Although, when it comes to our holiday stockings we love to come up with the perfect stocking for each other. It is always fun on Christmas morning to see what my husband put in my stocking and I love being able to customize the perfect stocking for him. Each guy is different but there are a few go-to items that make the perfect “guy-approved” stocking for Christmas. These items include candy, movies, video games and Slim Jims. All gifts that you can’t go wrong with! This year, when I customized the perfect stocking for my husband, I wanted it to be the combination of hobby and fun. He loves watching movies, playing video games with the kids, working out and enjoying the perfect treat. 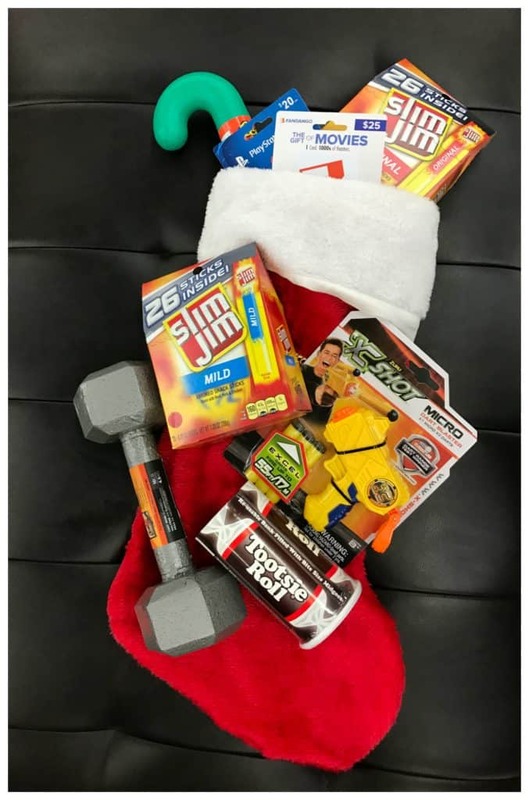 I wanted to find everything in one place, so I stopped by Walmart to pick everything up – gift cards, candy, weights, toys…and of course, Slim Jim. 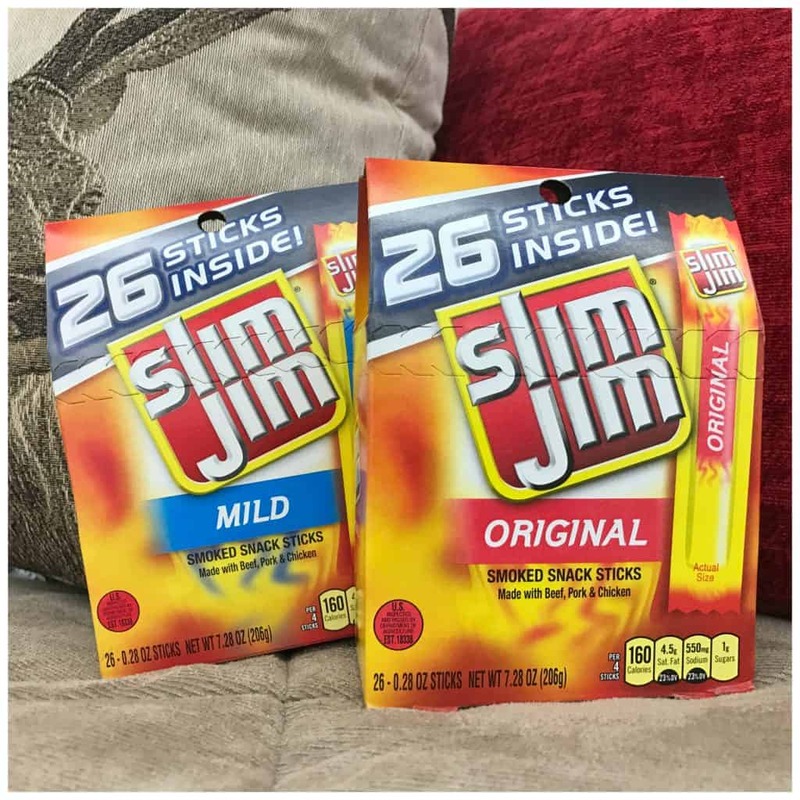 Available in the perfect stocking stuffer size of 26-pack Slim Jim Original and Mild. What would you put in the perfect stocking? Come stuff a stocking with gifts guys love and you could win a $100 WALMART GIFT CARD! So this holiday season, forget about the candy canes and head straight to the treat your man really wants. 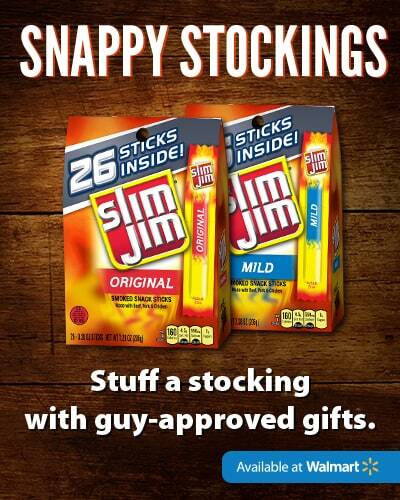 Slim Jim is the key ingredient to pulling together the perfect “guy-approved” stocking for Christmas. Best of all, you can find it at an everyday low price at Walmart. 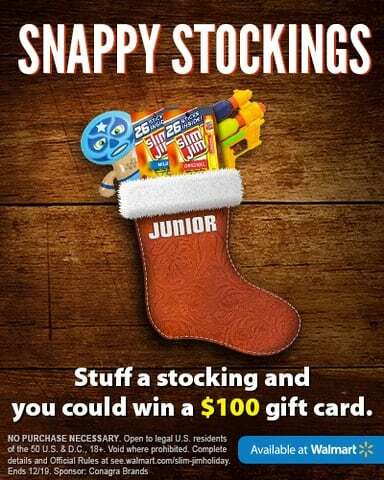 Create your own Slim Jim stocking for a chance to win a $100 Walmart gift card.